Help! Why are my eyes itchy?! There are so many reasons why your eyes might feel itchy. Therefore, it may take some time for you to figure out what is really going on. There are actually a great number of things that can be making them feel irritated. The good news is that most of these reasons come with easy fixes. In some cases, you won’t even have to go to the doctor in order to feel better. There are multiple at home solutions to soothe your eyes and help you feel normal again. Here is a guide to help you figure out the answer to why your eyes are itchy, so you can start feeling healthier as soon as possible. The Causes: Why Are My Eyes Itchy? Chances are if your eyes itch for more than a few minutes a day, it is something that is really affecting your life. It can keep you from being able to do the things that you need to get done and has the ability to mess up your routine. If you constantly wonder why are my eyes always itchy? it may be time to think about what is going on around you, and if you have changed anything in your life recently. There are other symptoms that often go along with itchy eyes, such as watery or dry eyes. Here’s a look at some of the most common issues associated with itchy eyes, and what may cause them. Oftentimes, if you have seasonal allergies, you will have itchy eyes. 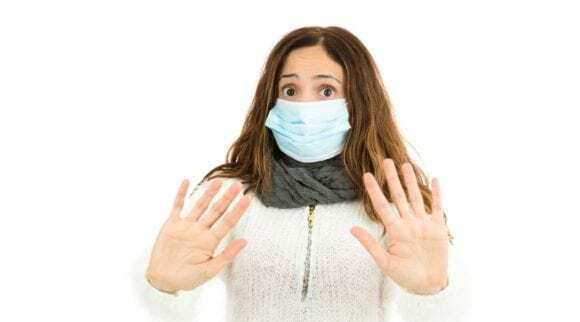 This is because there are things in the air that affect you differently at a certain time of the year, such as pollen and grasses. Both dry and watery eyes can relate to allergies as well. On the other hand, you may still have problems, even if you don’t necessarily have allergies. There are other substances in the air that can cause problems at any time. Things like dust can trigger these symptoms as well, even if you aren’t necessarily allergic to dust. Also, anyone can react to anything at any time, so it’s possible that you may have become allergic to something that, in the past, never bothered you. Chemicals and strong smells in the air you breathe can cause itchy eyes as well. For example, if you live somewhere that has frequent forest fires, this may cause you to have itchy and watery eyes at times. You may also feel like this if there is some chemical in the air that is not normally present. Pay attention to things like air fresheners, candles with scents, and essential oil diffusers, as these can be problematic for some people. Everyone knows that looking at phone or computer screens for many hours a day isn’t good for your eyes. At the same time, you likely have to do it to connect to others, work at your job, or for a host of other reasons. What you may not know is that eyestrain is very common when you look at something for hours at a time without a break, which can cause your eyes to dry out and become irritated. Weather changes are a common reason people end up asking: why are my eyes itchy and watery? Drastic temperature drops or sudden alterations in the percentage of atmospheric humidity are things that may cause you to wake up feeling very different. Allegens in the air also change with the seasons. There are certain medications that have a side effect of dry, itchy eyes. This should be indicated on the label, or you may ask your doctor if it will cause this symptom. It can be a good idea to ask if it happens to you frequently. A handful of illnesses or other conditions can cause itchiness in your eyes. 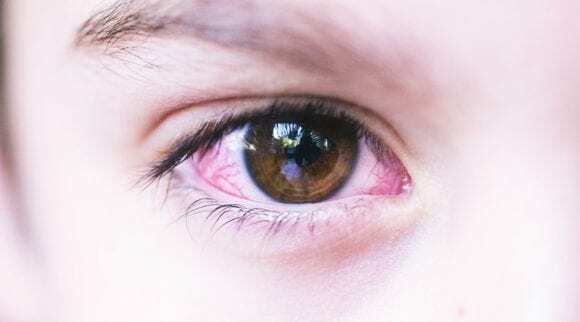 One is pink eye, or viral conjunctivitis, which is an infection that causes your eyes to turn red and produce discharge. Another illness is blepharitis, which is when your eyelids are swollen or the eyelid glands are blocked. Blepharitis, or inflammation of the eyelids, is very common to cause itchiness of the eyes and eyelids. Not only can contact lenses cause you to have itchy eyes, but also the solution for them may do the same. This is something that you should be aware of, and discontinue use of either of them, if you think this is the case. Why are my eyes dry and itchy? 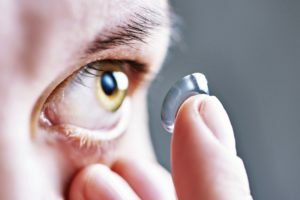 This is a common question associated with contact lenses. Try switching up your solution, or even the brand of contacts you wear. 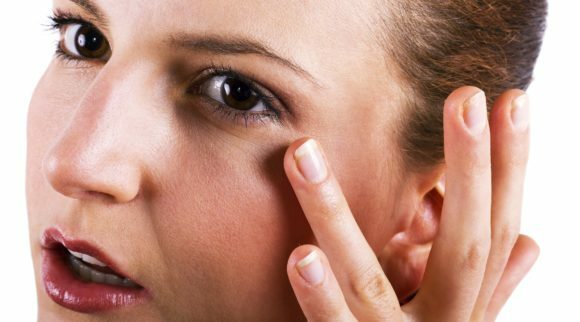 The Solutions: Why Are My Eyes Itchy and Watery? Now that we have discussed what may cause dry, itchy, and/or watery eyes, we can talk about the solutions to these things. In many cases, it is just a simple change that needs to be instituted. Here’s a peek at the most common fixes. Use natural eye drops. Your first line of defense when your eyes cause you trouble is eye drops. Try to find ones that have the most natural ingredients possible. Furthermore, make sure that you read the directions and only use them as you should. 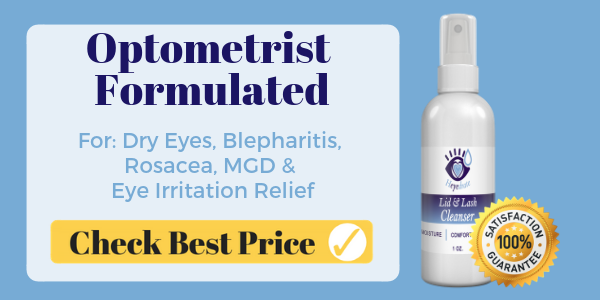 You can also try using an allergy eye drop, which are available over the counter and can help if allergies are the main culprit of your itchiness. Limit exposure. If there are environmental irritants that hurt your eyes, try to stay away from them. Cut down on the time you are outside or exposed to the wind. You can accomplish this by staying in your house and wearing sunglasses when you go out. Stay away from fragrances, air fresheners, and detergents that may be irritating. Take breaks when working. You should take as many breaks as possible when you are working. This will not only allow your eyes to be able to relax, but it can keep you from being stressed out, which is good for all parts of your body. An excellent rule of thumb is to take a break from looking at your screen every half hour for at least 20 seconds. Take medicines when need be. It may be imperative to take medicines to get some relief from itchy eyes. This includes things like allergy medicines or prescriptions for chronic dry eyes, but keep in mind that allergy medications will usually make dry eyes worse. Make sure to talk to your doctor about why your eyes are itchy in order to determine the best solution for you. Get new contact lenses. The contacts you are wearing may need to be replaced or cleaned more thoroughly. Make sure you have not contaminated them in any way, or used tap water to rinse them (yikes!) You will need to open a new pair if you have. Likewise, replace your solution with a fresh bottle if you can. This is even more imperative if you have been having problems with a particular solution. It is possible that you need to try a different type. There could be an ingredient in a certain brand that irritates your eyes and causes them to become watery, dry, or itchy. Drink enough water. It is necessary to drink enough water if you want your system to function properly. Drinking the recommended amount of water each day can allow you to be fairly certain that dehydration isn’t the reason why your eyes are causing you concern. Don’t rub. You may feel like you want to rub your eyes since they are itchy and driving you crazy, but this is a very bad thing to do. It can end up making your itchy eyes feel worse because rubbing releases more histamine, which exacerbates the issue. It may also lead to you damaging your eyes, which could potentially alter your eyesight. If you must rub them, do it gently and sparingly. Limit makeup use. Putting old makeup near your eyes can really mess you up. Make sure to throw out your mascara by the expiration date and be careful when you’re using it. It can be rather easy to poke yourself in the eyes if you aren’t paying attention when you put on your makeup in the mornings. Get checked out for medical conditions. If you have tried many different things and nothing is helping you, it could be beneficial to check with a professional to make sure that you are not having allergic reactions to something or suffer from another illness that you weren’t aware of. There are ways to rule out or confirm some of the most common things that mess with your eyes. Use a humidifier. When there are severe weather changes or it is too dry in your house, the best line of defense is a humidifier. The best time to run it is at night, since you are most likely to dry out when you are asleep. Just make sure that it isn’t too humid in your home already before you use this type of machine. Wash your hands. Keeping your hands clean is something you should always be doing. 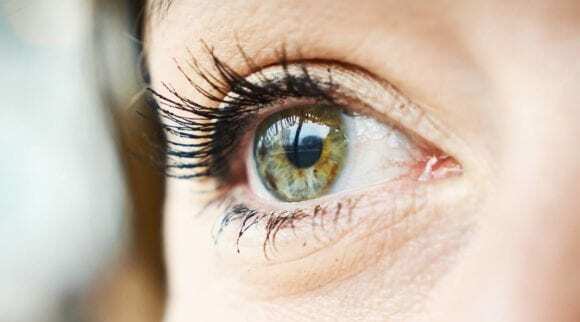 You aren’t likely aware of how often you rub your eyes each day. When you have germs on your hands, any of those times, it can irritate your eyes. When you make sure they are clean at all times, even if you dab, rub, or touch your eyes throughout the day, it should not cause you any discomfort. Next time you are wondering why are my eyes dry and itchy? or, why are my eyes itchy and watery? you can think about these causes and solutions. Here are reviews of some products you can try yourself to help address these issues. 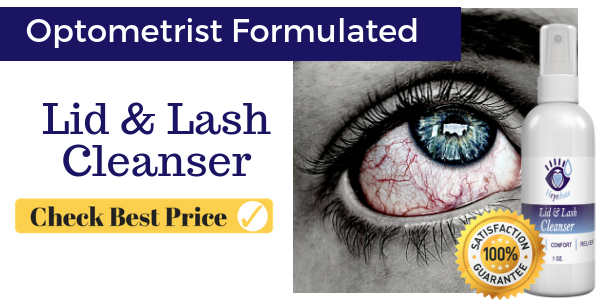 This spray formula is designed to be used for a number of different eye problems, including those on the eye and the eyelid. You simply spray it onto your closed eyelids, and it will get to work solving the problem. You don’t have to wash it off or worry about it irritating your skin. Think of it as a cleanser for the eyes. Satisfaction guaranteed. This product offers a guarantee that you will be satisfied or receive your money back. They even donate some of their profits to charity, so you are giving back with each purchase you make. All natural and vegan. The solution is all natural and made of vegan ingredients. There are no alcohols and everything is organic. This can put you at ease and let you know that this product is safe enough for anyone to use, no matter their age. Kills bacteria. The way it works is by disinfecting your skin and mucous membranes, so that no bacteria can bother you anymore. In other words, it may alleviate pretty much any eye issue you can think of, such as itchiness, styes, or dryness. Uses hypochlorous acid. The active ingredient is hypochlorous acid, which is something that isn’t used in all products. This substance helps speed up healing and is an antiseptic, so it has no resistance. Overall, this is a product that can solve many problems for you. It comes in a bottle you can take everywhere, you don’t have to drop it in your eye so it is easy to use, and it can even help you take off makeup. It cleans other skin issues too, like cuts or scrapes, meaning you can use it on other parts of your body in a pinch. This item consists of wipes that you scrub your eye area with. You put them on your fingers and rub it across your eyelids a few times. It helps keep them clean and limits the amount of bacteria that can attack you throughout the day. In addition, it offers moisturization, so it can keep your eyes looking and feeling good, when used properly. Good for allergies. 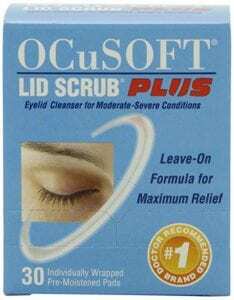 Among other things, this product is made to alleviate itchy eyes by simply using it. You can expect relief from pollen, dander, and things like that. No mess formula. Since there are no drops to worry about, this one won’t make any messes. It is as easy to use as a napkin or tissue. You just throw away the wipe after you have used it. Works quickly. You shouldn’t have to wait very long for results when you utilize these wipes. They are able to relieve issues in just a few uses or less. In other words, your eyes should begin to feel better the same day. Can help slight or serious issues. Whether you have a mild problem or something more serious, like blepharitis, you can use these wipes. They provide relief and keep your eyes clean, so your eyes can heal faster. The takeaway from this product is that it is easy to use and can also be taken with you wherever you go. Since it helps with allergies and other eye conditions, it is the type of thing you may need in emergencies. You will not even have to wash your face after you use it, which lets you know that it is gentle enough for most. 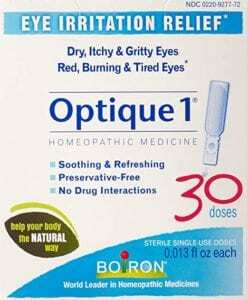 If you are looking for eye drops to provide solace, this product can help you. It is designed to assist with allergic symptoms, so your eyes can begin to feel better, even when histamines are high. 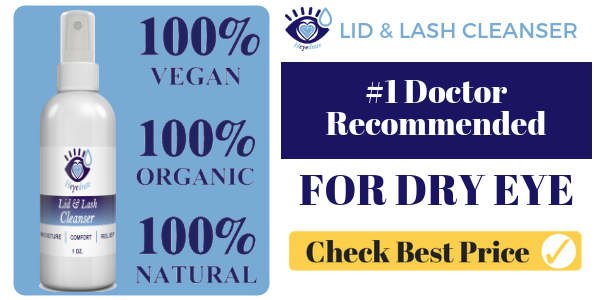 The drops work in just a few moments and provide long lasting relief for dry, watery, and/or itchy eyes. Works for 12 hours. Each time you use these drops, they should keep you covered for around 12 hours. You won’t have to keep applying these all day. Kids can use it. The formula is mild enough that kids can use it too, as long as they are over 3 years old. You will have a bottle that works for everyone in the house. This should save you some time if multiple people in the house suffer from any type of allergies. Prescription strength. It works quickly and swiftly because it is a prescription strength formula. This is another reason why it doesn’t have to be reapplied often. You can use it once or twice a day and it should help your eyes feel less itchy. Contains ketotifen. The main ingredient is ketotifen, which is a type of antihistamine that is common and considered safe. The important things to know about this product are that it works well and it works for a long time. It can be used by pretty much anyone that has allergies, and since it is a type of eye drop, there should be no confusion when it comes to how it needs to be administered. 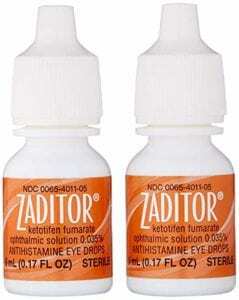 Here is another type of traditional eye drop that helps with a couple of different types of problems. It helps alleviate eyes suffering from allergies, and can reduce redness. It may be used multiple times a day, and it will last for many hours after you use it. Protects against allergens. It protects against many different allergens, including ragweed and grass. These are some of the most common things that can cause allergic reactions. Relieves redness. Besides just making eyes feel better, it can make them look less red as well. This is because there is a special ingredient in the formula that helps take away redness. From a familiar brand. You may have used Bausch & Lomb items in the past, so you might feel comfortable with this brand. If other things they sell have worked well for you, there is no reason to think this one won’t work for you also. It’s worth a try and can help you feel better with regular use. Can cause eye burning. Due to some of the ingredients in this product, there is a chance that it will cause a slight burning sensation at times, mostly when you first place the drops in your eyes. 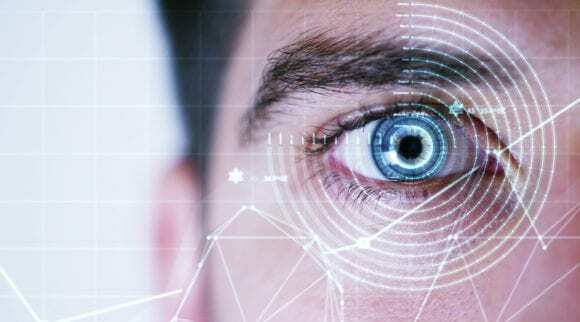 This is considered normal and is not something that you should worry about, since this is a side effect of nearly every dry eye or allergic eye product on the market. This company has been making products to help your eyes for many years and this item is no different. It helps with allergies and redness, so you won’t need more than one type of drop. Some brands only solve one of these problems and not the other. An interesting thing about these drops is that the list of ingredients lets you know what each of them is for. It works well for multiple eye problems, so this aspect helps you see which substance alleviates which issues. Homeopathic option. These drops are made with homeopathic ingredients. There are no astringents or things that are designed to make your blood vessels constrict. Will stay sterile. Each dose is sealed in a separate single use container, meaning they are unlikely to lose their effectiveness over time. This also keeps each one sterile until you need to use it. Won’t interact with other products. All of the ingredients are deemed safe enough to use with other products, such as the prescriptions that you normally take. It shouldn’t interfere or cause any side effects, no matter what preexisting conditions you already have. Helps tired eyes. It is the only one on this list that will make tired eyes feel normal again. It is also good for dry eyes or if you always feel like there is something in your eyes. You can use these drops multiple times a day, as you need them. What you should remember about this product is that it is very easy to keep with you, and as far as eye drops go, it is the most convenient. You will not have to worry about the bottle getting dirty or contaminated. However, you will have to make sure that you use each drop in the vials, since you are wasting money otherwise. Why are my eyes itchy? You Can Stop the Itch! After reading this guide, you should have a better understanding when it comes to why your eyes are so itchy. There are so many reasons why this may be the case, and many of them are rather unavoidable. Of course, it isn’t all bad news since there are multiple ways you can fix the issue. Instituting easy tweaks into your daily life, as well as introducing simple to use products, can ease your suffering. Keep these tips and the items discussed in mind next time you have dry, itchy, watery, or irritated eyes. You don’t have to torture yourself, since there are so many actions you can take in order to feel better. If none of these things helps you, it is time to consult with your doctor. 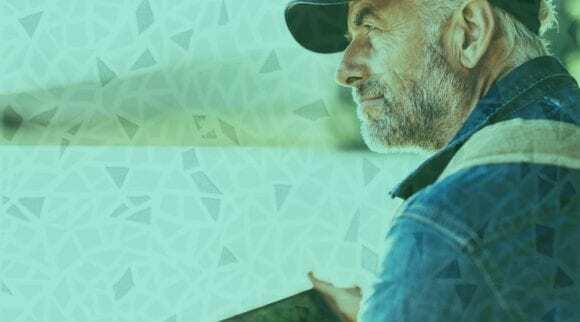 A medical professional can help you determine if there is a medical problem plaguing you, or if it is something that you just haven’t figured out how to treat yet. Be patient and keep trying, but also remember that itchy eyes happen to everyone now and then.